Necessity is mother of invention and that is a universal truth. Or you can say it is the mind of a person that makes him creative even in tough times of life. Or you can say it is the financial circumstances that decides how you would behave in your life. You can coin any theory in Mr. Ameer's case. 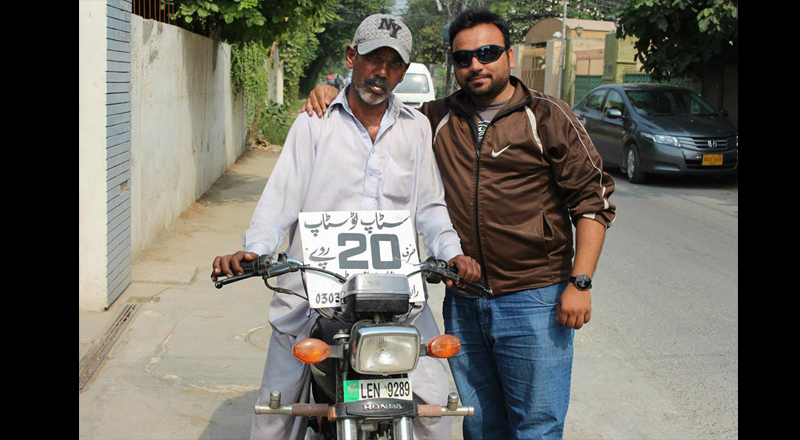 He lives in Lahore and has a family to feed. His financial condition does not give him freedom to buy necessaries of life and neither does it allow him to start a medium or even a small size business. But whatever. He still has to live. He still has to survive and he still has a family to feed which is no less than a challenge for a person without money. So Mr. Ameer didn't give up. He didn't beg for money to start a business, rather he get a thought of taking a step which probably no one has taken before. He got a card board, wrote a few lines on it, took his motorcycle out of his home... and that's it. A new business is there. He charges roughly Rs. 20 to give you lift or what can we say, he drops you from one stop to other stop in just Rs. 20. Distance between one stop to other stop is roughly 1 to 3 kilometers in Lahore. 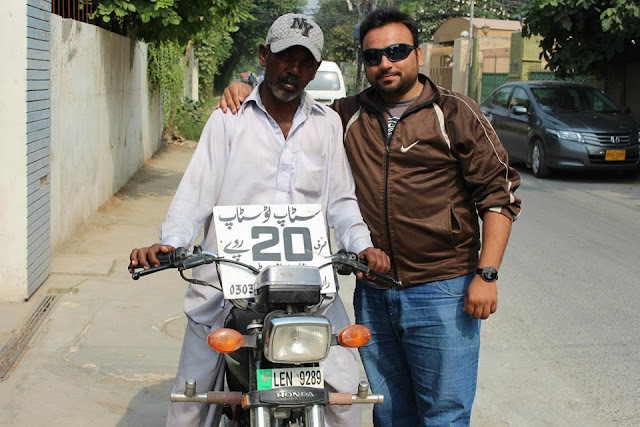 He is now making good enough money from this business to feed his family which is enough proof of success of his idea. No matter how much capital or resources you have, how you use it is the real usefulness of those resources and your creativity.